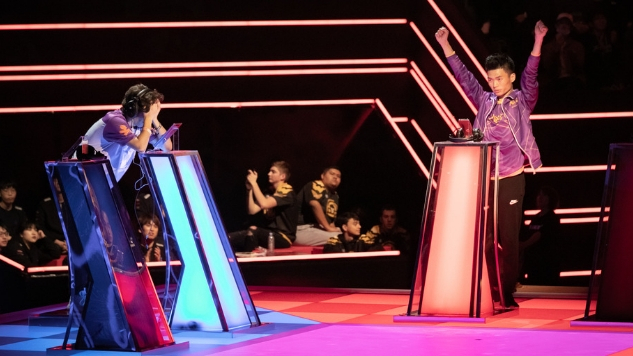 On Dec. 1, 2018, at Makuhari Messe just east of Tokyo, China’s team Nova Esports beat Latin America’s team Vivo Keyd in the Clash Royale League World Finals. After watching an entire day of competition that lasted more than eight hours, the sold-out crowd erupted in thunderous cheer, and the tournament, which was entered by 25 million people across the globe, was finally over. Two weeks prior to that victorious day for Nova Esports, I wouldn’t have have cared who won, much less known what Clash Royale even was. But after nearly 7,000 miles of travel by myself and perhaps the worst jet lag I’ve ever experienced, there I was, in Tokyo, sitting and watching the World Finals. And guess what? I get it now. I care. The Clash Royale League World Finals made me believe in esports. As a kid, I wasn’t allowed to play videogames unless they were deemed “educational.” If you’ve ever heard of the Vtech Socrates, we had that, but as far as the popular systems go, they were off-limits at home. Nintendo and PlayStation consoles were relatively foreign to me until college. My first Game Boy was given to me in high school by a friend who was upset that I had never played Pokémon before. Sure, I played the occasional game of The Sims at a friend’s house, but in the grand scheme of things, gaming wasn’t a part of my life. Before you try to argue with me and say, “videogames ARE educational!” I’ll stop you first: I wholeheartedly agree with you. Even the most absurd games have teachable moments. But I didn’t raise myself, my parents did. Rather than playing videogames, I spent my childhood voraciously studying classical ballet and immersing myself in music. I had a great time, but it would have been nice to successfully learn how to use an Xbox controller before the age of 19. Or, you know, learn how to play Mario Kart without crashing into walls every three seconds. I still can’t do that. Clash Royale is not a console game, of course. It lives and thrives on mobile. My experience with mobile games is even less than that of console games, but I did in fact download this game from the app store and give it a go before my very, very long flight to Tokyo from Atlanta. (Did you know you can make that flight without a layover? I most certainly didn’t.) I understand why people love this game. The animation is purposely juvenile, but the graphics are good and the game play is simple. All you need is a little strategy, and, if you want to get advantage in the game quickly, a little money. The game made $1 billion in revenue in its first year alone, and two years later, there’s not an end in sight. For a free game, it’s doing pretty damn well. Clash Royale is a real-time multiplayer tower defense game, which means players try to attack and take over opponent’s towers while simultaneously defending their own.It can be played one versus one or teams of two versus each other. It’s based on the cards you have, which you gain and get rid of as time goes on. The cards include troops, spells, and defenses, and those dictate the strategy players use to defeat their opponents. These cards are awarded throughout the battles, but you can also buy them within the game. The game is part of the Supercell family, which also includes Clash of Clans and Hay Day, among a couple of others. If this tournament was any indication, mobile games are the future of both esports and gaming as a whole. It’s already the largest gaming platform, and because we’re all attached to our phones at practically any given moment, it’s not going anywhere anytime soon. This was the inaugural year for the Clash Royale esports league. After the original 25 million people entered the competition, 7,000 finalists from 113 countries battled on for spots on regional teams from North America, Europe, Latin America, Mainland China and Asia. At the World Finals, Team Queso represented Europe, Vivo Keyd represented Latin America, Immortals represented North America, Nova Esports represented China, and both KING-ZONE Dragon X and PONOS Sports represented Asia. The amount of detail and funds put into this tournament seemed endless. The trophy itself was larger than the Stanley Cup and weighed more than 60 pounds, and the drums which announced the start of the tournament were, we were told, 1,000 years old. There were 20 million LED lights used for the screens and visuals. The boxing ring-inspired set was built specifically to make the audience experience the event rather than just watch, and competitors from each team sat on the sidelines to observe right along with them. There was nothing tacky or garish about the event, and save for a few time delays, the Finals were relatively seamless. For me as a first time observer, I was most impressed not with the game itself or really even the competition as a whole, but with the amount of care and respect that the viewers and participants had for the game itself. It was unquestionable that the vast majority of spectators in the audience genuinely loved Clash Royale, and to witness that, for something so specific and for so many people so trivial, it was truly special. The seats within Makuhari Messe sold out in less than two hours. Between 10 Chinese-specific platforms and 6 Youtube livestreams (which had casters in both English and Japanese! ), there were millions of people who tuned in to watch. Despite being grounded with competitive nature, esports is entirely different than what we’ve been groomed to understand as traditional sports. It’s not based in athleticism or strength, so right off the bat, it’s more inclusive. Yes, it requires skill and an unthinkable amount of practice, but it seems more attainable to succeed for the average person. These are real kids playing on stage, real kids that haven’t been groomed their entire lives to be professionals. Sure, it may be just as stressful, but from an outside perspective, it seems like a much healthier environment to be a part of than traditional sports. If you have a smartphone, you can play Clash Royale, and with enough practice, potentially get good enough to compete on a higher level. The competitors on December 1 entered into the Clash Royale tournament just like anyone else did, and where they came from or who they are outside of the game has absolutely nothing to do with it. Esports as a whole are for everyone, especially for those who the world tends to shun or look down upon. Take Dominique “SonicFox” McLean, for example, who was just deemed “Best Esports Player” at The Game Awards. In his speech, he said, ““I guess I just gotta say that I’m gay, black, a furry—pretty much everything a Republican hates—and the best esports player of the whole year, I guess!” Indeed, he is the best of the year, and indeed, he deserves it. Competitive gaming champions diversity and celebrates differences. It doesn’t matter the game, it fosters an environment where you feel included based solely on a shared interest in a certain game. Super Smash Bros. Melee, Rocket League, Clash Royale, whatever the game happens to be: they’re all outlets for inclusivity. We need more of those in this world. I believe in esports, and frankly, you should too. Annie Black is Paste’s social media manager. In Tokyo, she ate the most delicious (vegan!) noodles she’s ever eaten in her life and has been dreaming about them ever since. You can follow her on Twitter.